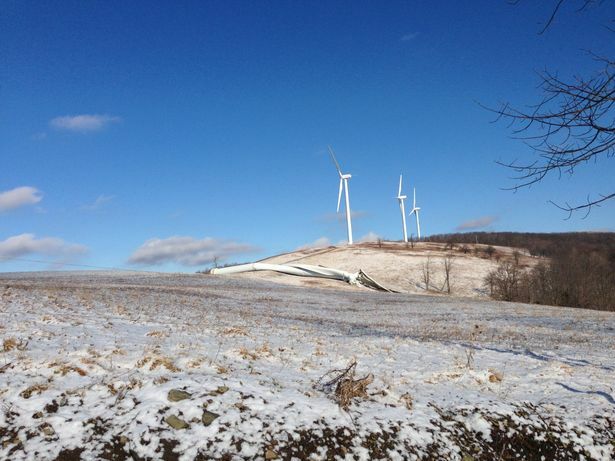 Mangled Wind Turbine mercilessly attacked by cold or wind or shoddy construction or all three. That would have been a good title. One Down – Three To Go … natural. The only good one is a dead one.